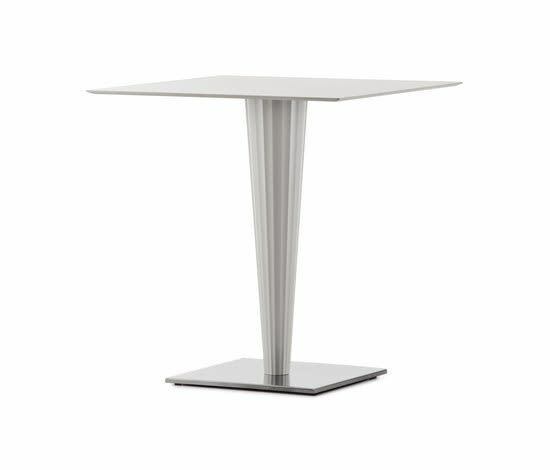 Dining table with stainless steel base, polished or brushed. Moulded methacrylate conical column featured by vertical lines designs a striking play of light. Adjustable feet on request. It can be combined with tops in different sizes and finishes.